Team coaching is a necessary requirement for a group of talented individuals to become even more effective through working as a team. This comes about by developing collective leadership based on a shared purpose. It is completely normal to experience personal differences and disagreements within a group. Part of team coaching is to work through these to the point where opinions can be shared without causing conflict. Teams are multi-faceted and those who make up the group work hard to value their differences and draw on their strengths to move forward. 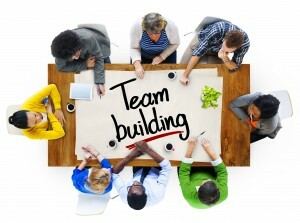 When the individuals in a leadership team work together in a joined-up way it creates a joined-up organisation, all working together to deliver the desired results. Real it is applied to real situations and includes real time coaching/observation. Integrated works with the team both as a collective and as individuals. Systemic situates your collective leadership in the context of the wider system and your impact on key stakeholders. Expectations includes a measurement process that tracks your desired changes and outcomes to ensure a return on expectations for the team, its key stakeholders and the organisation. A shared purpose which enhances engagement and satisfaction. This, according to Chartered Institute of Personnel Development research, improves output. A greater sense of belonging, commitment and accountability which result in better quality of work life; reduced absenteeism and turnover; improved productivity and quality. All of which mean more satisfied stakeholders and adding greater value to the business. Improved innovation through a willingness to accept difference, openness to new ideas and higher levels of adaptability. In this way the team role models a willingness to change and transform to the organisation thus enabling it to adapt more quickly and remain competitive. This has a significant effect on the success of the business. The success of the team begins to be mirrored elsewhere in the organisation improving work rates, productivity, efficiency and overall happiness.